"This powerful tool, included with the Microsoft Windows Server® 2003 Resource Kit Tools, allows for all of those advanced functions and more. 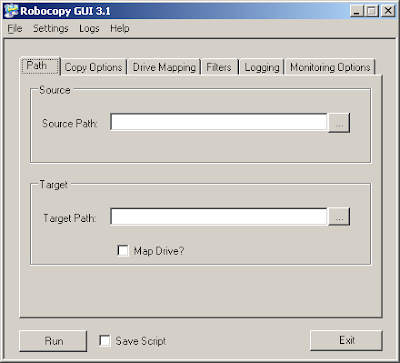 Robocopy enables the more serious file replication tasks that can really simplify your job. The biggest benefit I think you'll find is the ability to create full mirror duplicates of two file structures (including all subdirectories and files, if you choose) without copying any unnecessary files. Only the files that are new or have been updated in the source location will be copied. Robocopy also allows you to preserve all of the associated file information, including date and time stamps, security access control lists (ACLs) and more."